On Wednesday afternoon in Norwich, I came back from lunch to walk into the office looking like a snowman, all thanks to the sudden flurry of snow! It has officially hit us here, but heavy snow showers have been forecast all over the country, with Scotland and the North East of England being most effected. There are reports 15cm(6 inches) of snow could lay in these areas, which would in turn cause the roads to be icy and dangerous, but provide the kids with hours of fun. The Met Office has issued heavy snow warnings to a lot of the country including Wales, Yorkshire and East midlands, with extra warnings that this cold blast could last up to 2 weeks! 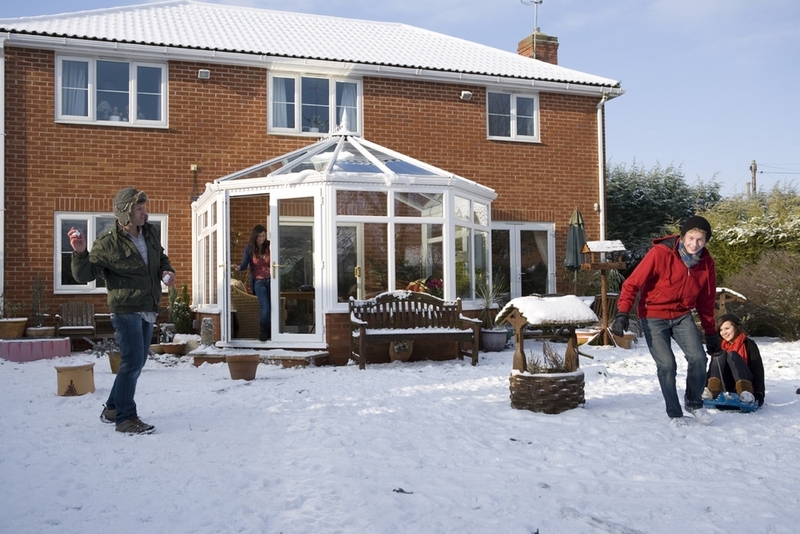 As well as being warned about the cold weather, people are also being told to keep warm, double glazing being a good method preventing heat loss by 50,which will lower your heating bills. A good saving especially as most energy companies are announcing price increases. Temperatures are not expected to reach above 5°C, as winter appears to have struck earlier than previous years. The AA has warned drivers to travel only if necessary and stick to main roads as many roads are not being gritted to cut back on the countries costs. There has already been a massive increase in the amount of road traffic accidents, as well as an aeroplane shooting off the runway after landing. Anglian Home Improvements raising the standards in home improvements since 1966. For more information on our products visit our website.